Mock•Roos - Innovative solutions. Personalized service. Mock•Roos - Providing the very best in engineering and surveying services since 1954. Mock•Roos was established in Lake Worth, Florida in 1954 and has been a corporate citizen of West Palm Beach since 1957. Mock•Roos has been providing full service engineering and surveying services to Palm Beach County municipalities and governmental entities, as well as select private sector clients, for over 64 years. Kenneth Mock and Edward Roos, the founders of Mock•Roos, were both Professional Surveyor and Mappers (with Mr. Mock also being a Professional Engineer). 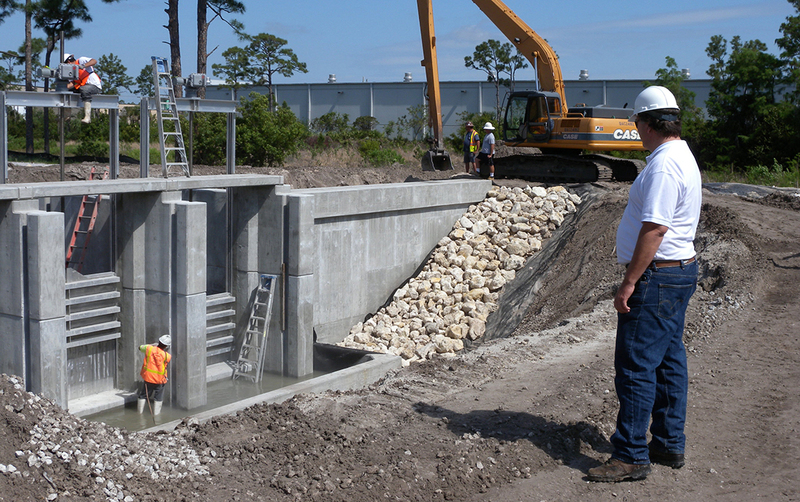 Our founders were truly specialists in accomplishing the goals of creating quality, practical approaches, and solutions to engineering-related projects in the Florida environment. Their professional passion and intense focus on providing quality products and services to the people we serve has made Mock•Roos one of the premier consulting firms in Palm Beach County. Mock•Roos continues to carry on our founders' traditions (integrity, client service, quality work products) and remains a very viable and stable company, maintaining 29 employees, including 14 Registered Professional Engineers, 5 Engineering Interns, a CADD Technician, a Registered Professional Surveyor and Mapper and 3 LEED Certified employees, on staff. All of our staff are located at one office, located at 5720 Corporate Way, West Palm Beach, which stream-lines production activities, and facilitates better local client service.